Chrome chalcedony contains chromium, normally seen in the most coveted gems in the world; namely alexandrite, emerald and ruby. Present in small amounts, chromium gives these stones their unique shades of green, which have been compared to green seawater. Chrome chalcedony is usually untreated, as absolutely nothing is required to make this stone desirable! 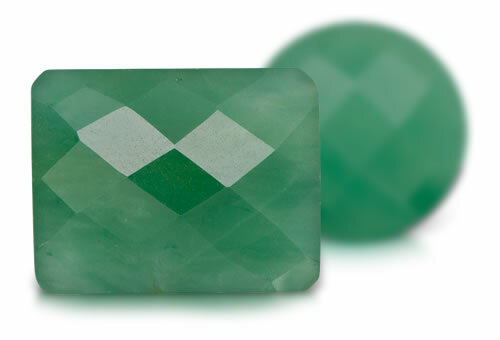 Although chrome chalcedony somewhat resembles chrysoprase in appearance, the two receive their color from two different elements. Mtorodite or mtorolite: trade name for chrome chalcedony from Zimbabwe.Colored by chromium. Chrome chalcedony might contain black chromite crystals. Look for lack of dye concentrations to separate from dyed chalcedony.